I’m not arguing with the logic behind that idea. The Internet has the possibility of distracting a composer with irrelevancy and time-wasting entertainment, thereby slowing down the pace of work. But this isn’t an inevitable outcome, and I think it can greatly depend on the nature of the composer-Internet relationship. For me, the Internet can be a vast library, a repository of knowledge and advice. Some of that advice is great, and some is not so good… but all of it has the potential to help and inspire me while I’m working, as long as I stay focused on my goals. When I was composing music for Assassin’s Creed Liberation, I needed to do a lot of research. Some of that came from more traditional sources such as historical texts and audio recordings, but a good portion also came from targeted searches on the Internet. For instance, since the game concerned itself with an affluent French society living in 18th century New Orleans, I needed to reacquaint myself with the techniques and structure of French Baroque music of the period. If you type the search string “French Baroque music” into Google today, you can see a collection of relevant articles such as “Music history of France,” “5 Tips on Approaching French Baroque Music,” “Tempo in French Baroque Music,” and “Style and Performance for Bowed String Instruments in French Baroque Music,” not to mention all the books that pop up via item pages on Amazon.com. Also, watching traditional Baroque musicians performing on YouTube was an excellent way to stay in touch with correct performance techniques, as well as the various ways in which expert musicians customarily improvise within the confines of a Baroque composition. Research can be very inspiring, both for musical styles of the past and for contemporary genres. I think research on the Internet can continue as an ongoing concern during the composition process. We just have to make sure we keep our focus on our work. Are there any ways in which you use the Internet to keep yourself creatively inspired? Let me know in the comments! This track is pure genius. In the game Skullmonkeys from 1998, this song plays when you stumble upon a hidden room, where you are safe to explore and find prizes hidden there. The song introduces you to a tenderly sympathetic invisible fellow who may (or may not) be your friend. He’s companionably creepy. 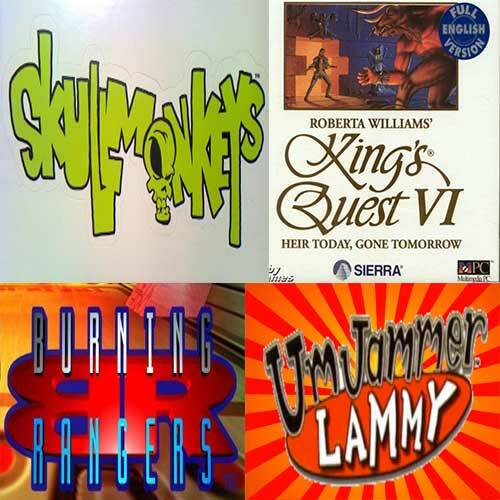 If you love a classic rock power ballad, you’ll enjoy this song from the 1992 adventure game King’s Quest VI: Heir Today, Gone Tomorrow. If you’ve ever found yourself singing along to “Oh Sherrie” or “I Want to Know What Love Is,” you may get a kick out of this. From the 1999 game for the original PlayStation comes this exceedingly cheerful guitar-driven track that’s good for those people who have a secret love for bubblegum pop and want to put on their high-top sneakers and dance. Friends, I’m very happy to be able to tell you about an announcement that Ubisoft made today, regarding a project for which I’m very proud to have served as composer. 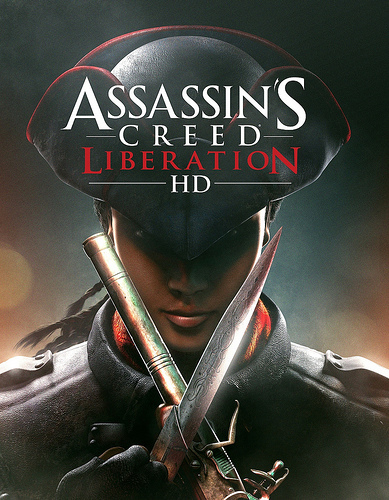 Today Ubisoft announced that the PlayStation Vita game Assassin’s Creed III: Liberation will be coming to Xbox 360, PS3 and PC in an enhanced and thoroughly improved high-definition version called Assassin’s Creed Liberation HD. I’m very excited that a new high-definition version of Assassin’s Creed Liberation will be released in early 2014, and I’m so glad that a whole new audience will get the chance to know and love Aveline de Grandpré as much as I do. She’s a wonderfully heroic character, and she’s very close to my heart. I’m very happy that a larger community of gamers will be able to experience her adventures. What Should Be Louder – Pop Art or High Art? This week I’d like to recommend an interesting research article written by game audio director Rob Bridgett, entitled “Dynamic Range: Subtlety and Silence in Video Game Sound.” The article describes a crisis in the field of video game audio. The crisis stems from the desire of game audio practitioners to present a ‘cinematic’ audio experience, pitted against the trend of dramatically compressing the audio in order to maximize its perceived loudness. The article asserts that these two approaches are incompatible, and there is one portion of the article that particularly caught my attention. Bridgett asks if a game will be considered “a cultural artifact,” and if so, “is it high art or is it pop art?” According to Bridgett, this determination should guide the game audio staff in terms of how compressed a game’s audio should be. High art (which Bridgett defines as a work of art designed to emulate a cinematic presentation) should employ a wide dynamic range, with little compression. 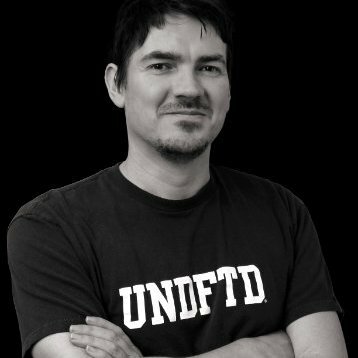 Bridgett points out that Hollywood films are mixed with a wide dynamic range, and that this mixing tactic is the most effective approach for projects that fall into the ‘high art’ category. In contrast, ‘pop art’ (such as “party games or children’s games” according to Bridgett) will likely be played in more noisy environments and should therefore be more aggressively compressed so that the audio can compete with other sounds in the game play space. These games are experienced differently from ‘high art’ games, and their sound should reflect these differences, according to Bridgett’s article. Using the artistic status of a video game as a determinant of how that game’s audio should be mixed is an interesting point of view, as well as a uniquely arresting one. The opportunity for discussion here is enormous. Is high art necessarily cinematic in nature? Some games that aren’t particularly interested in a cinematic presentation could be considered high art nevertheless (Echochrome springs to mind). On the other hand, a lot of games that are interested in a cinematic presentation don’t seem to be interested in becoming high art (such as Killer Is Dead). Yet, we can certainly point to supposedly ‘high art’ games that are tremendously cinematic (God of War) and ‘pop art’ games that are not (Mario Party 9). Should Mario Party 9 feel consistently louder than God of War? Another question – should all cinematic presentations have a very wide dynamic range? For instance, some recent summer blockbuster films in the superhero genre have felt fairly compressed to my ears – but then, we might consider those to be more in the ‘pop art’ arena. The idea of categorizing games by their status as cultural artifacts and then mixing their audio accordingly seems like a tremendously complicated subject. But I do like the idea of considering the basic nature of a video game and its intended audience before making decisions about its dynamic range. When so much discussion is going on regarding the creation of universal standards of dynamic range in the game industry, ideas like those proposed by Bridgett seem well worth discussing. 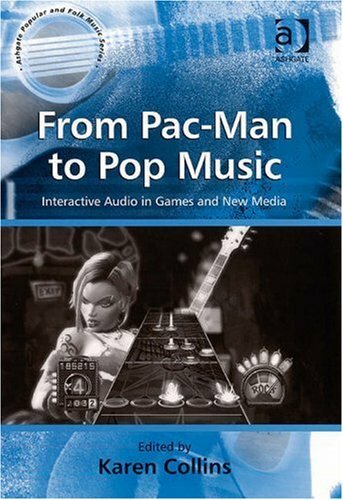 The article is a fascinating read, and you’ll find it in the book, From Pac-Man to Pop Music, edited by Karen Collins.